Installing Sendy is a pretty simple process. Upload the files, create a database, set a few settings and the rest are a matter of clicking around your Amazon Web Services console. The instructions are described in the following easy to follow steps. If you require installation service, we do provide it for only $79. Simply reply the license email sent to you after purchase. Download Sendy using the download link in your license email, then unzip it. Beginner Tip: If you've never created a MySQL database & user before, follow this easy to follow video tutorial or this step by step guide on doing so in cPanel. If your host does not use cPanel, refer to your host's documentation on creating a MySQL database & user. Upload Sendy to your server. Beginner Tip: You can use an FTP app like Cyberduck or the File Manager in your hosting control panel to upload Sendy. Image, attachment and CSV uploads requires the /uploads/ folder's permission to be set to 777. Visit your Sendy installation. For example, if you uploaded Sendy to http://yourdomain.com/sendy, visit this link to install. Note: If your installation page fails to load, visit http://your_sendy_installation_url/_compatibility.php?i=1 to see which extensions are not installed on your server and request your host to install it. Your License key is included in the email sent to you after you made your purchase. You'll be asked to specify your Email and Password. These will be your login credentials for Sendy. You can fill in your AWS Access Key ID and AWS Secret Access Key later if you have not signed up for Amazon Web Services yet (we'll cover this in the next step). Click the Install now button to proceed. Sign up for an Amazon Web Services (AWS) account if you don't have one. Click the Create a new AWS account button while at the login page to sign up. Once you've created your IAM credentials, copy and paste them into the installation page or your Sendy settings (under Amazon Web Services Credentials). 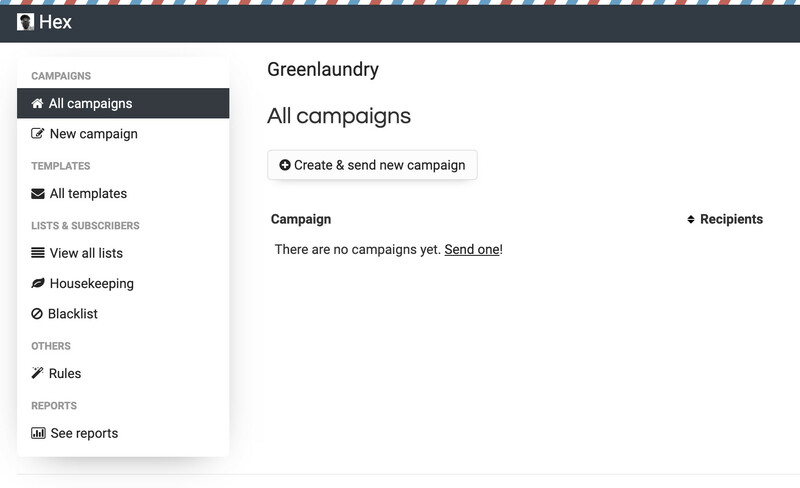 Sendy will now have access to send your emails via Amazon SES as well as setup bounces and complaints handling with Amazon SNS. Finally, you'll need to request Amazon to increase your SES Sending Limits to get your Amazon SES account out of "sandbox mode". You'll then be able to send to and from any email address as well as raise your daily sending limits from 200 per day to any number you need. Congratulations! You're all set up. Log in to your Sendy installation and start adding your first Brand. What are brands? Let's just say you own this company called Apple Inc and you have several products under it eg. Mac, iPhone, iPad etc. These several "child" products are what we refer to as 'brands'. Another example, if you have a company or business with different clients and you want to group them separately, you can create a 'brand' for each. 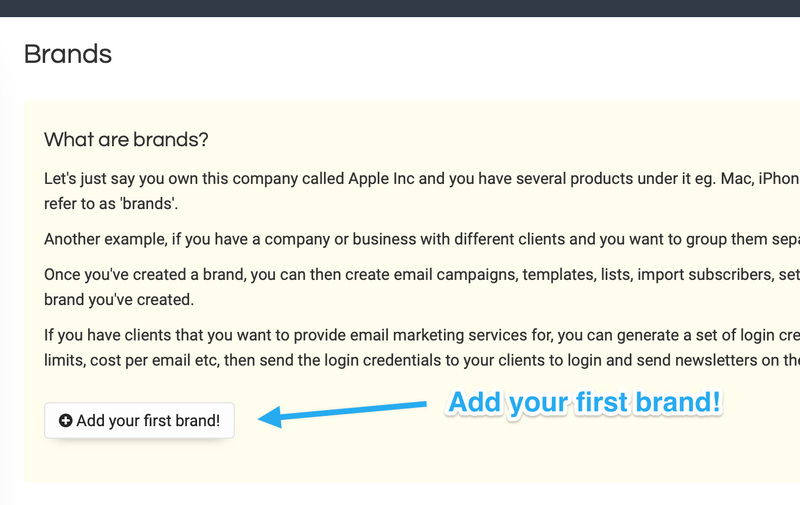 Once you've created a brand, you can then create email campaigns, templates, lists, import subscribers or blacklists, setup autoresponders, perform list segmentation etc in each brand you've created. If you have clients that you want to provide email marketing services for, you can generate a set of login credentials for each brand, set access privileges, monthly limits, cost per email etc, then send the login credentials to your clients to login and send newsletters on their own. Note: Looking for Steps 6, 7 and 8? You no longer have to set them up manually as Sendy now takes care of those automatically since version 2.1.0 and up. Just update your Sendy installation to the latest version. If you really need to see the old steps, here you go. Please visit the troubleshooting page for help information as well as quick answers to common issues. View Sendy's API documentation, download example scripts and browse third party resources & integrations. View our documentation on how to translate Sendy into your own language. We send occasional emails with an opt-out link. Lost your license or did not receive it? Need an invoice for your purchase? PayPal's receipt sent to you after your purchase serves as your invoice. If that does not cut it and you need an official invoice from us instead, please fill out this form to request an invoice for your purchase. For support, check out the troubleshooting page. You can also email with any questions. If you're a Sendy user, please quote your Sendy license key in your email.